Public have in previous years used byway 12 for parking on the morning of 21st December. Additional car parking for approximately 800 cars will be available on the A344 (which will be closed to through traffic). A great photo of the Avenue Periglacial Stripes at Stonehenge that I hadn't seen before. Showing off the skill of Aerial Cam! For some reason I was thinking about patches of burnt soil on Salisbury Plain and remembering the autumnal smoke from piles of burning couch grass. I can only just remember the tedious chore of harrowing and harrowing the thin soil to gather up every rhizome of couch and then burning them in piles. And then forking the edges of the slow burning piles of root and soil in to ensure it all died. The arrival of Round-Up herbicide put an end to what was seen as an eternal chore. I wonder if at the edge of any of the large fields on the Plain the circular burnt patches show up still? Thomas Hardy during the First World War used the unchanging job as a symbol of unchanging life. Lintel 122 has a pronounced bulge in its middle which makes more doorway like. The uprights, especially 22 have vertical lines which also add to the effect. The Avenue - Not A Processional Way? The Avenue - the detailed EH report argues it was never much used as either a processional or stone dragging route. Was it purely symbolic? This conclusion rather goes against the new favourite theory that the stones were designed to be seen by the masses from the heelstone area. 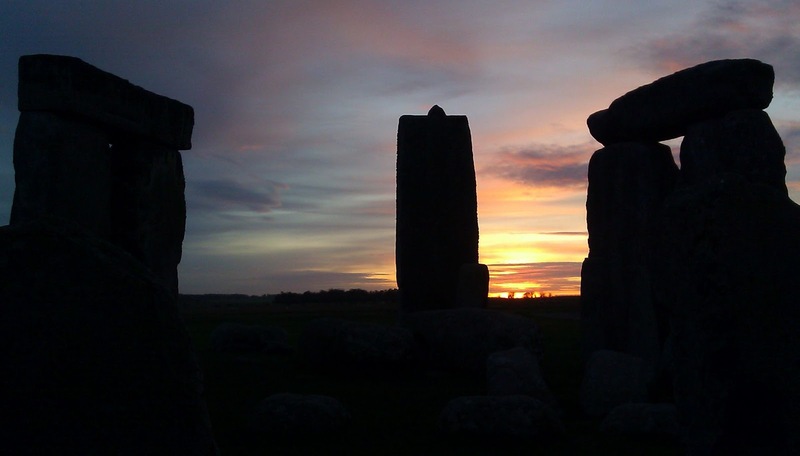 Analytical earthwork survey and investigation, by the former Archaeological Survey & Investigation team of EH, of the area to the north of Stonehenge revealed several zones of archaeological interest. Chief among these and well-known is the Avenue which, for the first part of its course, survives as an earthwork. When studied it is more substantial closer to Stonehenge than elsewhere. The lack of hollowing where the Avenue passes over a steep bluff at the ‘elbow’ is highlighted, raising the question of the degree to which the Avenue can ever have been a heavily used route, either for stone moving or processions. Rapid field investigations of two areas near Larkhill complement a detailed analytical survey of the round barrow cemetery south-east of Down Barn, Durrington, and other recent surveys undertaken as part of English Heritage’s Stonehenge World Heritage Site Landscape Project. They provide updated information on the condition of the round barrows, some suggestion of multiple phases and highlight the presence of pond barrows and an alignment of three small bowl barrows. Rapid survey of three areas on Boreland Farm was undertaken as part of the Stonehenge World Heritage Site Landscape Project. Barrows, field systems and linear ditches were investigated, as well as elements of the more recent landscape. The opportunity has been taken to report a previous survey of the nearby long barrow Wilsford 34. The most significant issues raised are: the previously accepted relationships between the Lake Barrows and adjacent linear ditches; and the existence of the ‘North Kite’ enclosure. A more conventional relative chronology between the barrows and the linear ditches is suggested here but more detailed survey is recommended to resolve this issue satisfactorily; in the light of results from aerial survey it is suggested that the ‘North Kite’ is a fortuitous survival of linear ditches which were otherwise ploughed out before the first maps and antiquarian records were made. Analytical earthwork survey and investigation, by the former Archaeological Survey & Investigation team of EH, of the area to the north of Stonehenge revealed several zones of archaeological interest. Chief among these and well-known is the Avenue which, for the first part of its course, survives as an earthwork. When studied it is more substantial closer to Stonehenge than elsewhere. The lack of hollowing where the Avenue passes over a steep bluff at the ‘elbow’ is highlighted, raising the question of the degree to which the Avenue can ever have been a heavily used route, either for stone moving or processions. The degree of later damage to the Avenue through use as a trackway and by cultivation at various times in the past has become evident. Earthworks associated with an 18th-century road and a 20th-century group of agricultural buildings were recorded. In Stonehenge Bottom quarrying has disturbed earlier remains but on the western slopes a series of terraces and platforms may relate to buildings associated with agriculture in the area. On the eastern slopes of the valley a number of barrows, trackways and other features were surveyed, along with traces of a possible enclosure close to the valley floor. 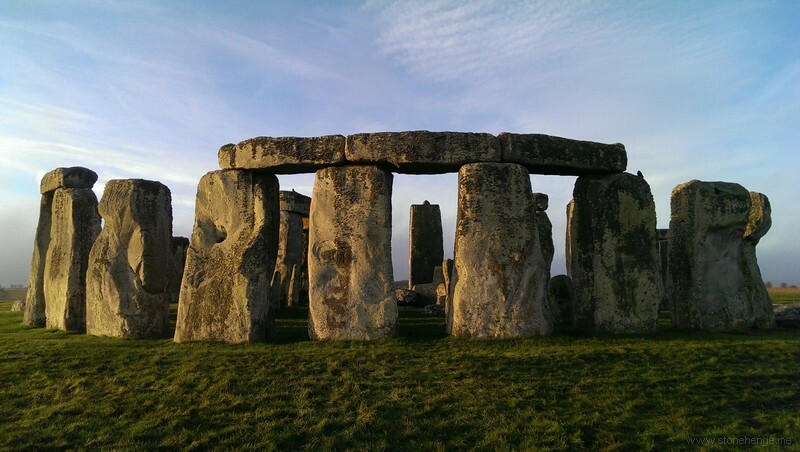 From May to August 2012, ArcHeritage, in collaboration with Dr Hugo Anderson-Whymark, undertook the archaeological analysis of laser scan data of Stonehenge, collected by the Greenhatch Group in March 2011. The results of the project were beyond all expectations. 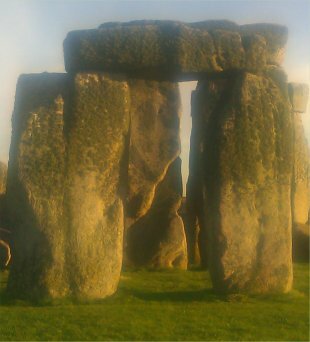 The investigation identified traces of stone-working on virtually every stone, revealing significant new evidence for how Stonehenge was built. In addition, all of the known prehistoric carvings were identified and examined, and numerous new carvings of axe-heads and a possible dagger were revealed. The number of prehistoric axe-head carvings on Stonehenge has increased from 44 to 115; this doubles the number of Early Bronze Age axe-head carvings known in Britain. Differences in patterns of tooling across Stonehenge were also identified that reveal significant new evidence for how, and potentially when, different elements of the monument were constructed. The analysis revealed that the Sarsen Circle was built and dressed with an apparent emphasis on the NE-SW solstitial axis. The study also presents new evidence allowing the question of the non-completion of the Sarsen Circle to be explored. The project, funded by English Heritage, recorded all visible graffiti, damage, weathering and restoration. This revealed considerable evidence for the removal of stones from Stonehenge, and documented extensive damage from past visitors. Ground Penetrating Radar (GPR) survey was conducted over an area of approximately 1.5ha centred on the stone circle at Stonehenge, Wiltshire (AMIE SU 14 SW4). The field work was undertaken to complement earlier geophysical survey coverage and a more recent earth work survey of the monument. In addition, three barrow groups (AMIE SU 14 SW397-401, SW89 and SW421-422) were surveyed with both GPR (2.0ha) and magnetic (2.8ha) techniques. The results from the GPR survey over the monument recorded responses to many known, recent interventions at the site such as the course of former track-ways recorded on historic aerial photographs. However, some new anomalies were also identified that enhance the existing geophysical record of the site and may well prove to be of archaeological significance. The survey of the barrow groups demonstrated the advantages of applying high sample density magnetic survey to complement existing coverage and the complexity of the GPR response over such features. 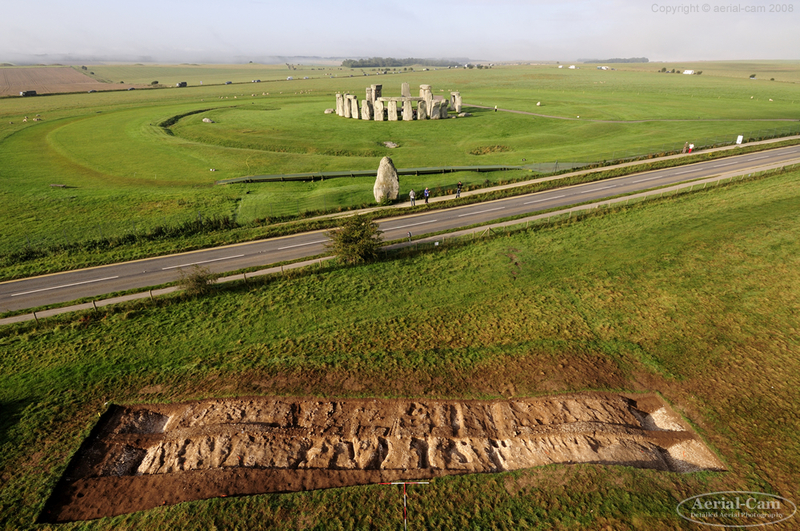 This report describes the archaeological sites visible on the road verges either side of the A344 in the vicinity of Stonehenge. It focuses on the section of the A344 from its junction with the A303 in the east to the junction with the A360 at Airman’s Corner and highlights those areas that are particularly vulnerable to road works. This report supersedes a previously issued interim report (RDRS 8-2010). This report contains details of all the radiocarbon determinations obtained on samples dated from Stonehenge up to the end of 2011. A series of chronological models based on different readings of the archaeology are presented for the monument as a way of exploring how these interpretations influence our understanding of its chronology. An Unspotted Dagger on Stone 4?